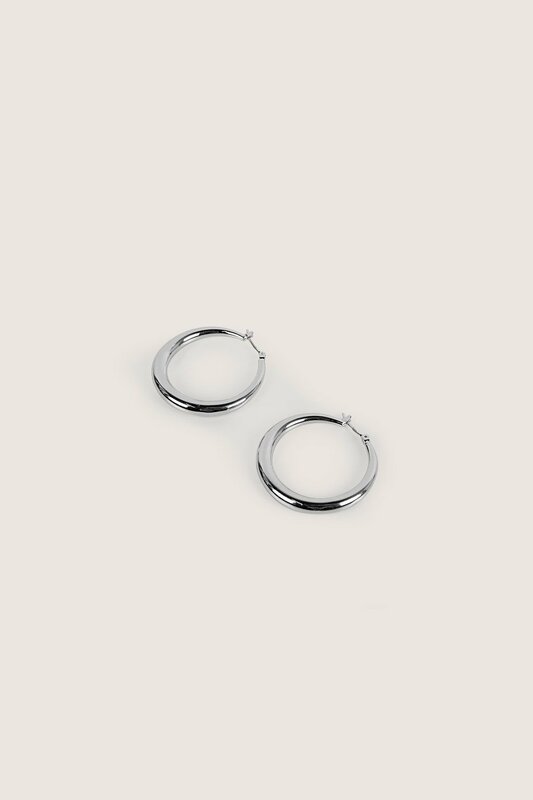 These perfectly sized hoop earrings have a minimal round silhouette and comes with a hinged clasp that keeps them securely attached. 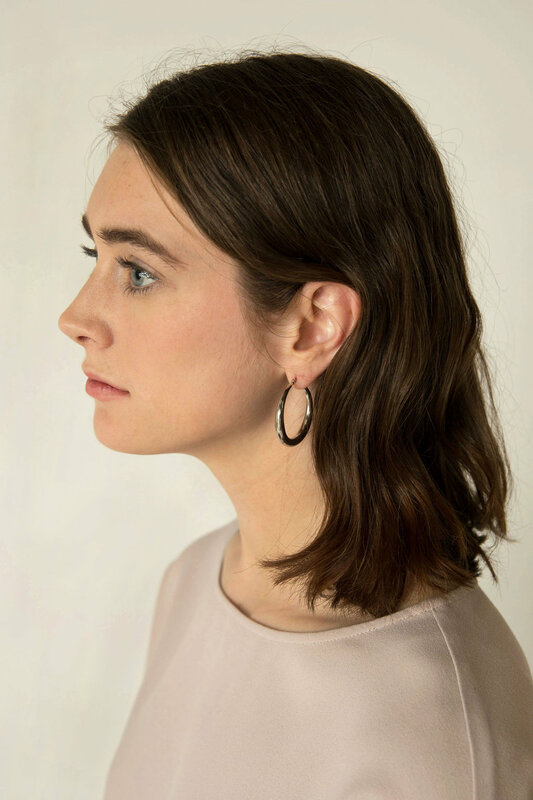 Perfect for casual and formal occasions alike, these earrings are a chic and versatile choice. Wear these earrings with a messy updo and white shirt for a simple yet refined look.